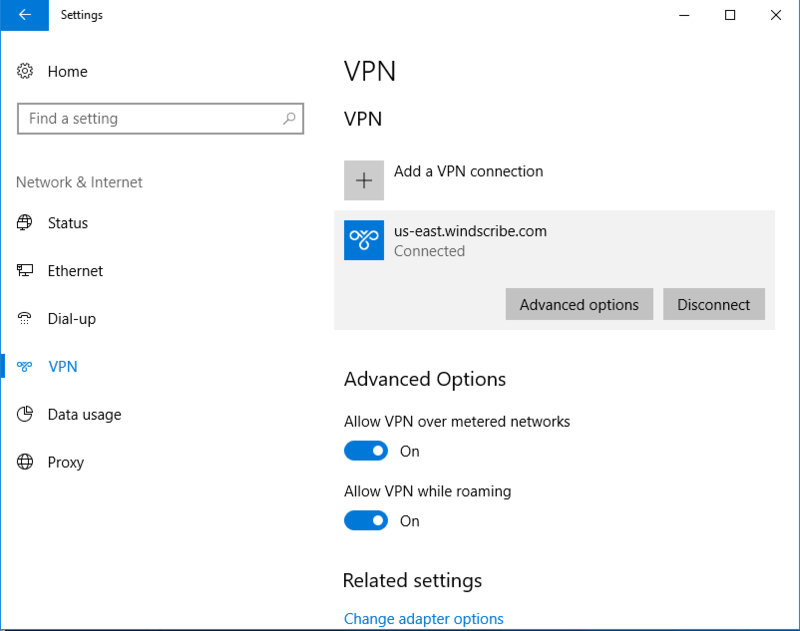 Here is how you get started with Windscribe on Windows. This is the simplest and most secure option. Get IKEv2 profile and credentials (requires a pro account). 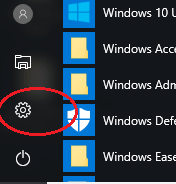 Execute the following command in Powershell, replacing SERVER.WINDSCRIBE.COM with your chosen location from Step 1. Execute the following command in Powershell to use strong encryption. 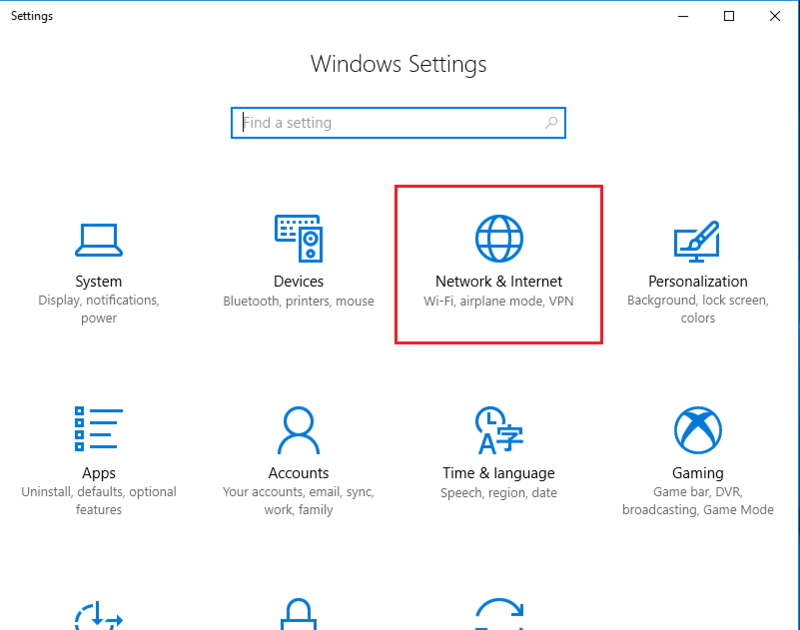 Go to Start and type "Settings" and select "Internet and Internet" and choose the "VPN" tab. Input the username and password as provided on the Profile Generator page in Step 1. This username and password will NOT be the same as your Windscribe login. This is the more complicated and less secure option. 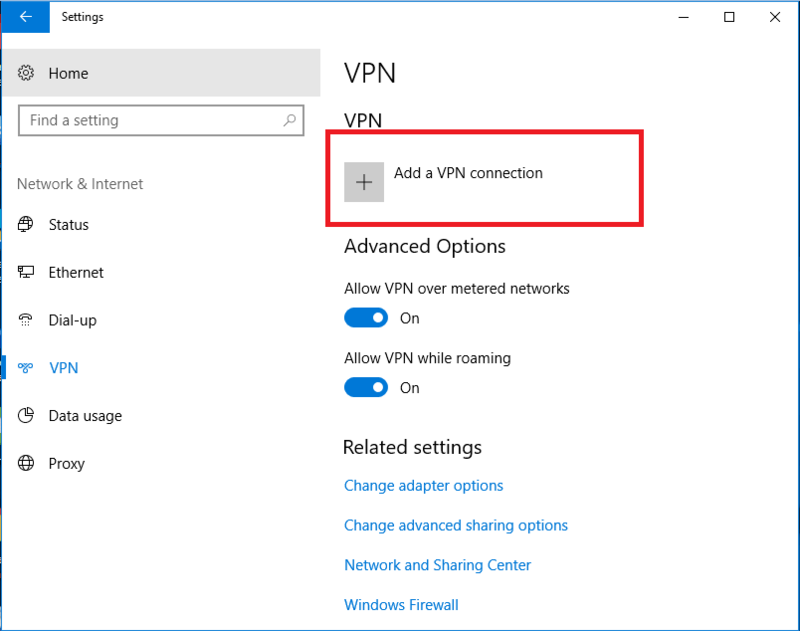 Click the Add a VPN connection button to set up a new VPN connection. 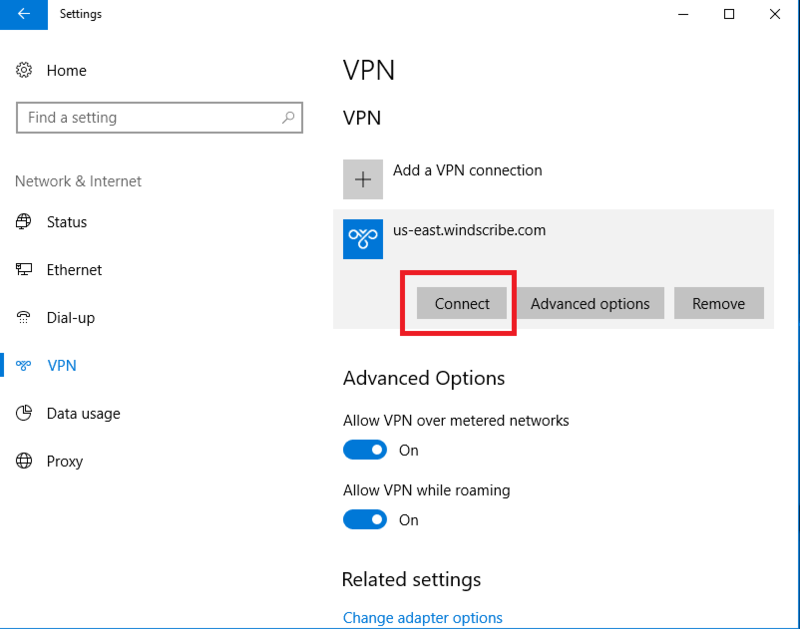 It is very important that you create a new VPN connection profile instead of editing an existing one, as it will not work due to a bug in Windows OS. 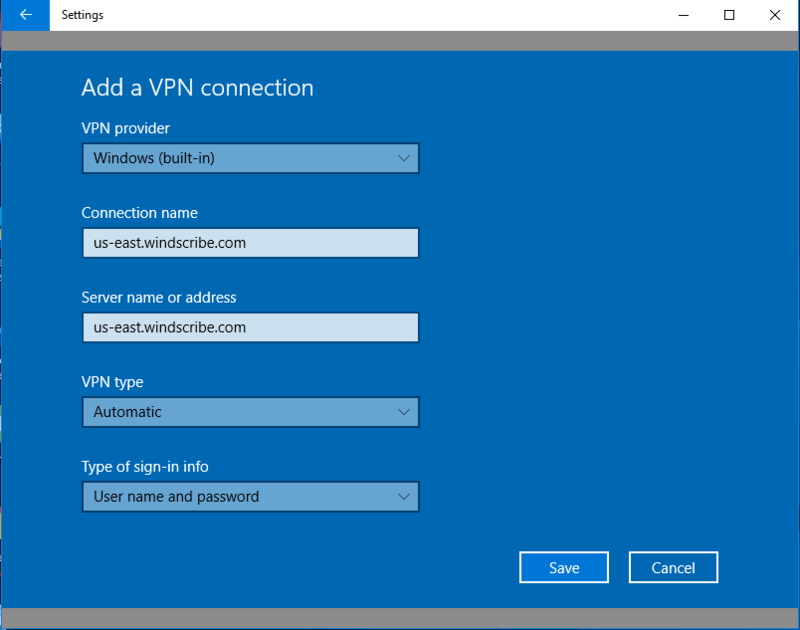 Select "Windows (built-in)" as VPN provider, enter connection name (any name you wish), select VPN type "Automatic". Select type of sign-in info "User name and password". Then input the Server address, username and password as provided on the Profile Generator page in Step 1. 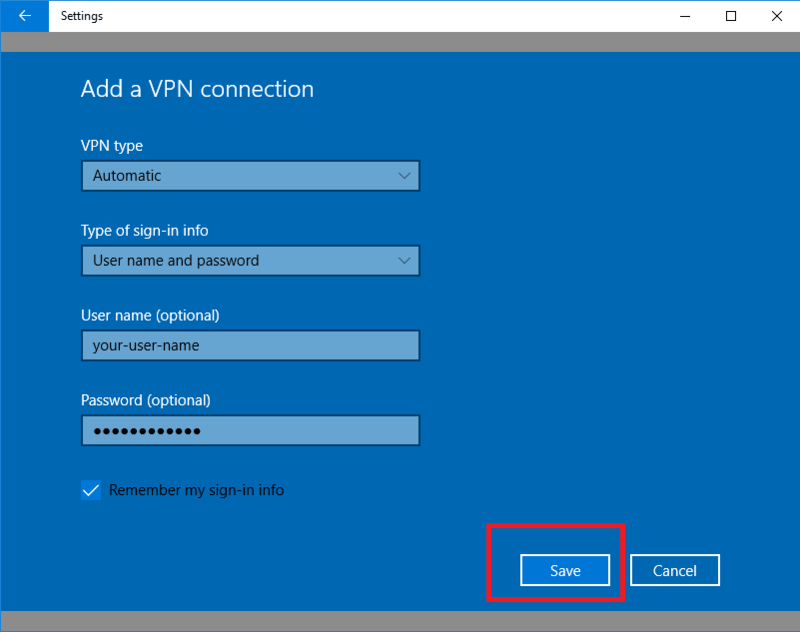 This username and password will NOT be the same as your Windscribe login. 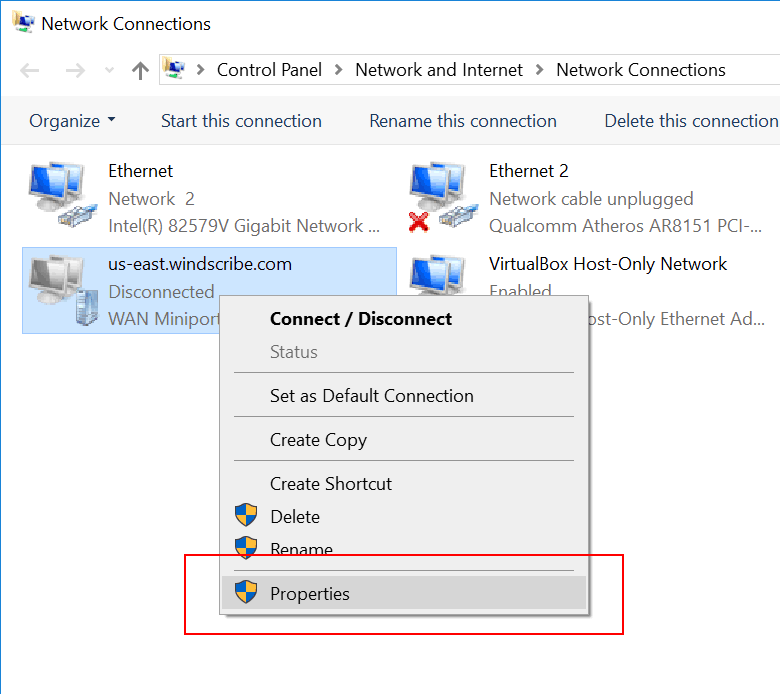 Go to Control panel -> Network and Internet -> Network Connections. 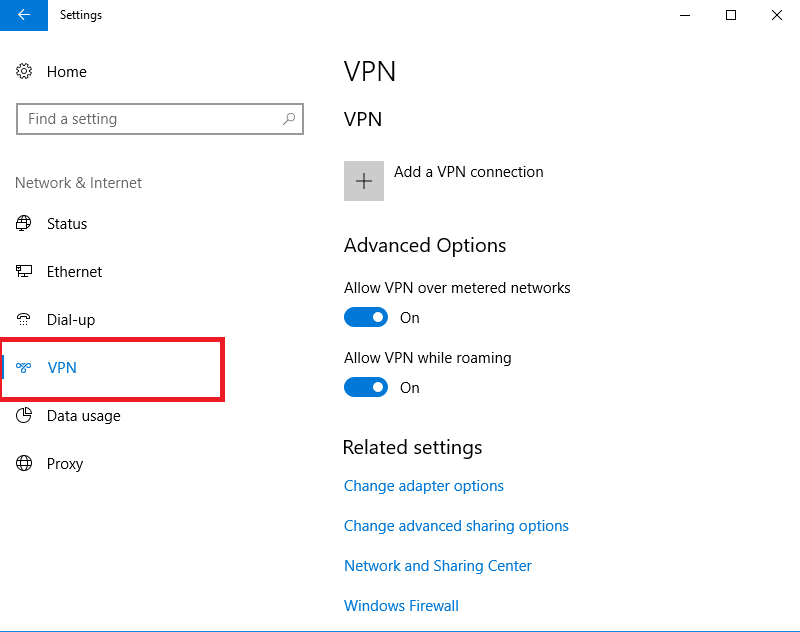 Select the adapter you just created and click "Properties"
Change Type of VPN to "IKEv2". 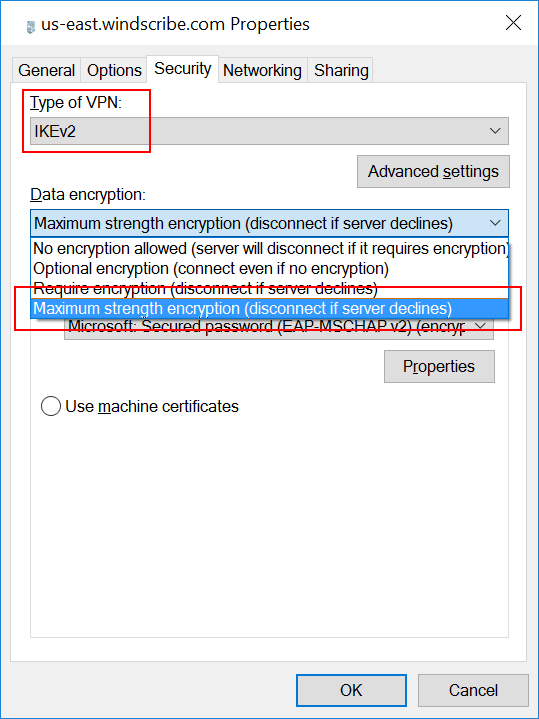 Change Data Encryption to "Maximum strength encryption". 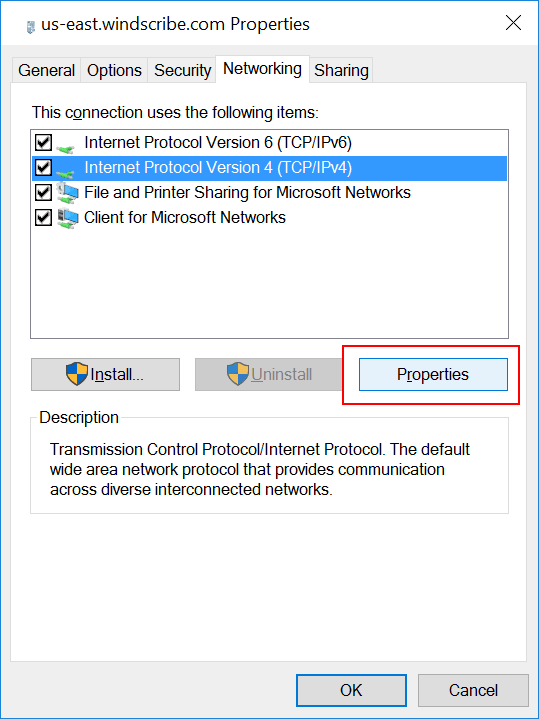 Go to the Networking tab, select "Network Protocol Version 4", and click "Properties". 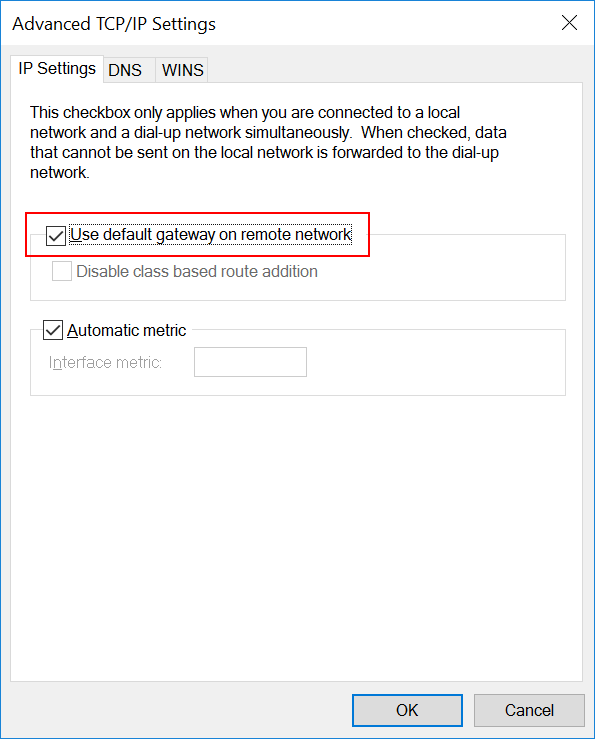 Ensure "Use default gateway on remote network" is checked. Then click "OK". 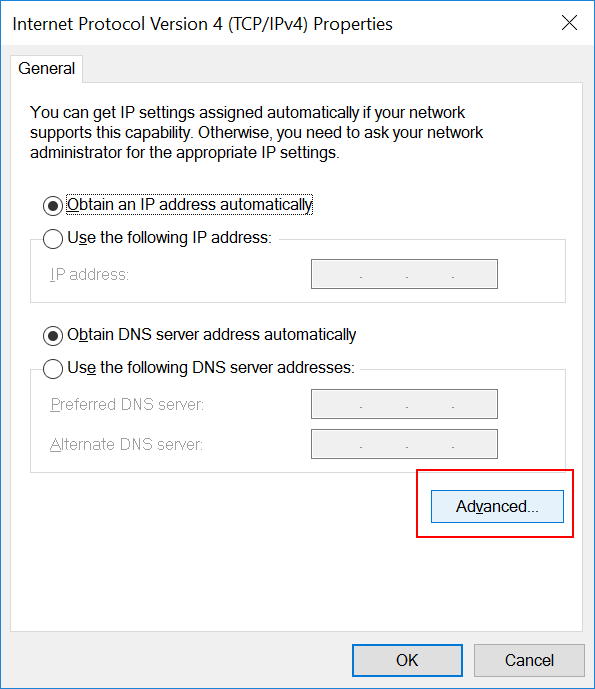 Now repeat the above steps for "Network Protocol Version 6"
Click on the profile you just created, and click on the Connect button to connect.